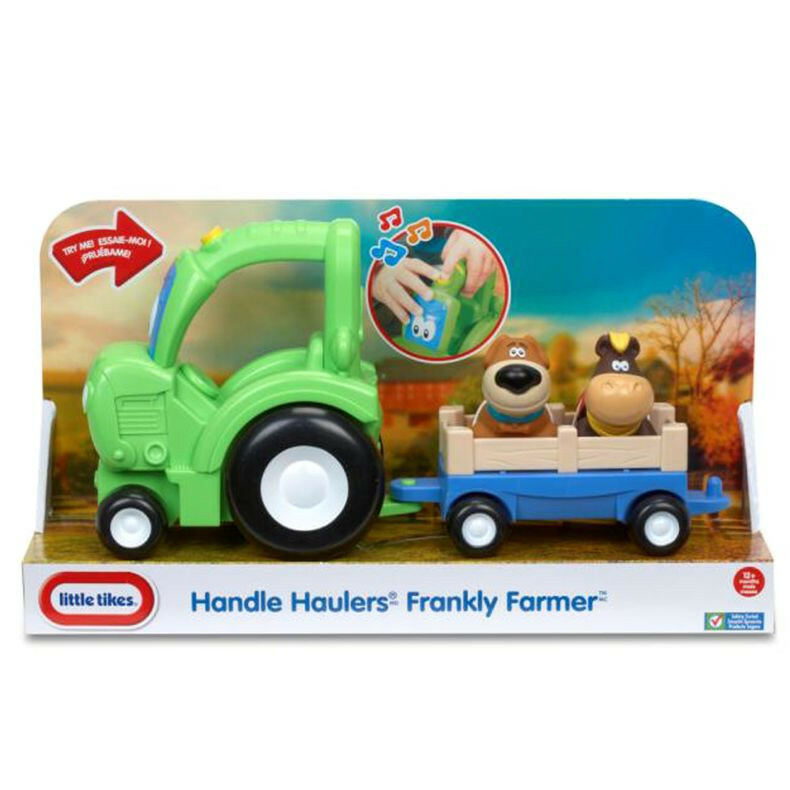 With Handle Haulers Frankly Farmer kids will hear fun sounds when they push the button on the easy to grip handle. 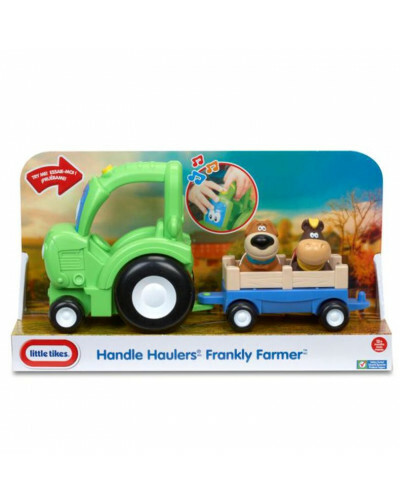 Play tractor and trailer comes with animals for added play! 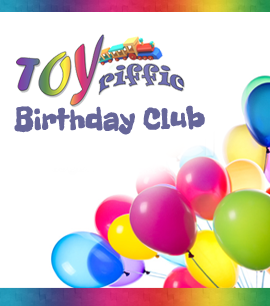 Little Tikes Handle Haulers encourage giggles and learning through active and imaginative play.